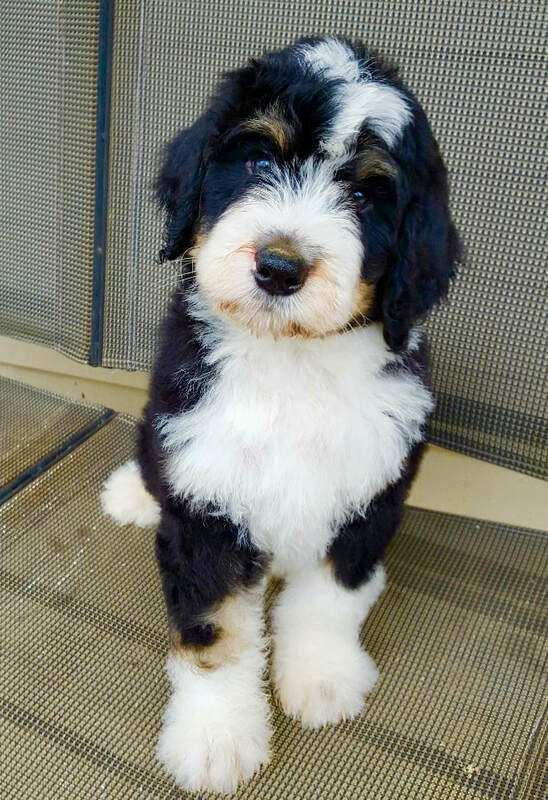 See the drop down Menu under the Bernedoodle tab to see all 3 size availability. 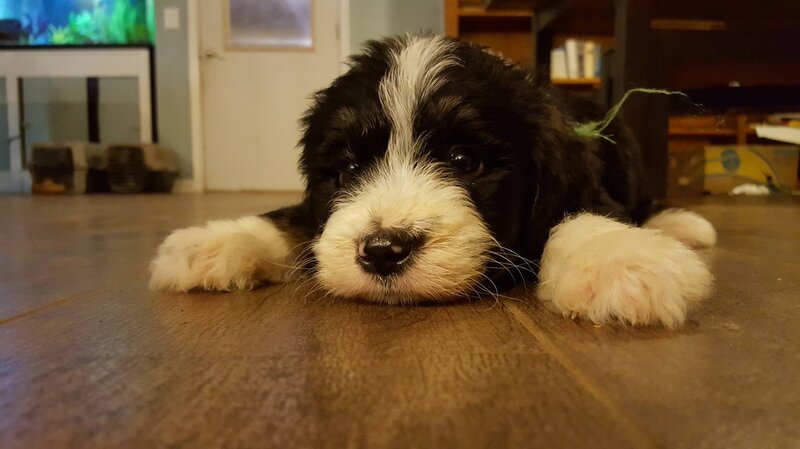 ​Note: To see pictures of available puppies, check out the drop down boxes under the Sheepadoodle & Bernedoodle tabs at the top of the page. 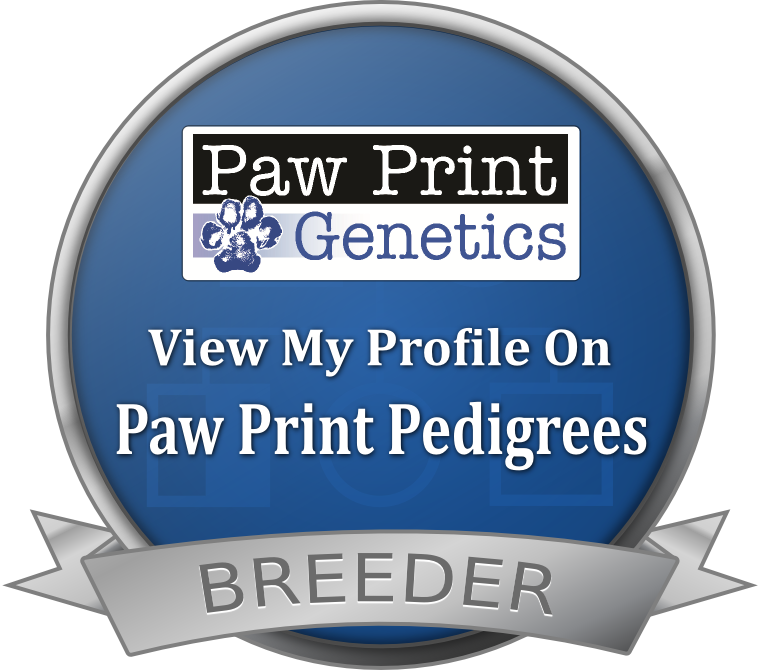 Puppy selections are made by the order in which the deposits are received. 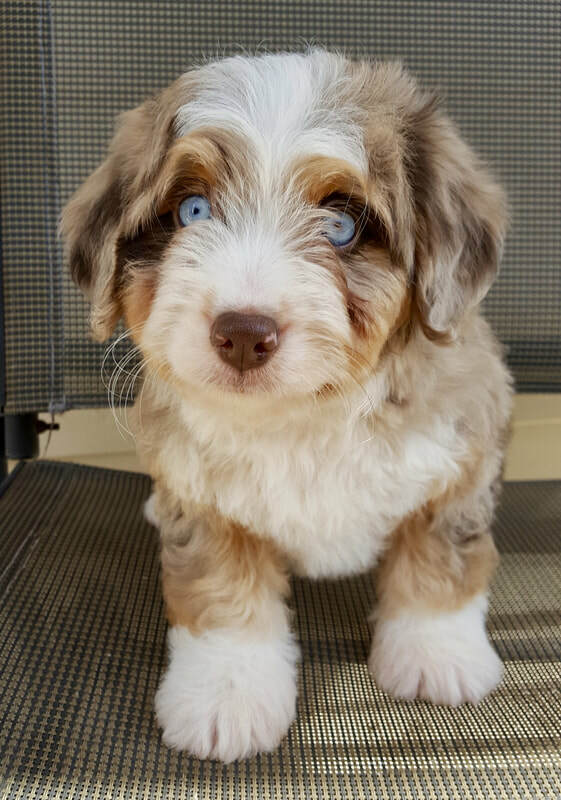 Do you want a puppy with a docked tail? Is a specific temperament or color super important to you? Pick of the Litter Option #1 is available for an additional fee of $300. Email me if you are interested in this option. (to request tail docking, you must have reserved 1st pick of the litter) The pick of the litter fee can be paypaled directly to me or you can mail a check. NOTE: Make sure to connect with us directly before making a deposit. 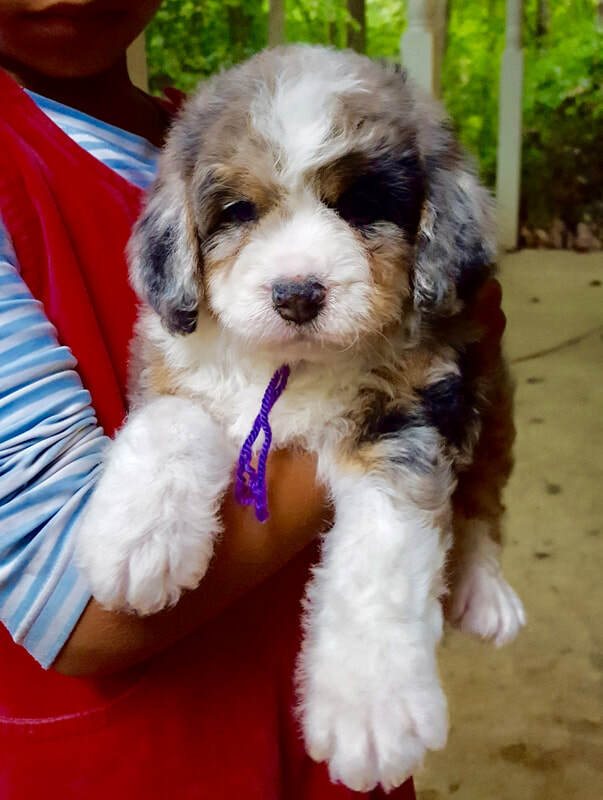 Our goal is to provide you with the right puppy but we may not be the right match for you. ​NOTE: We DO NOT provide TRAINED therapy or service dogs. We provide puppies that can be candidates for therapy, service or assistance dog positions. Our puppies have undergone Bio-Sensor Super Dog program which is done during the day 3-16 of life. This the first step in preparation for future work positions. 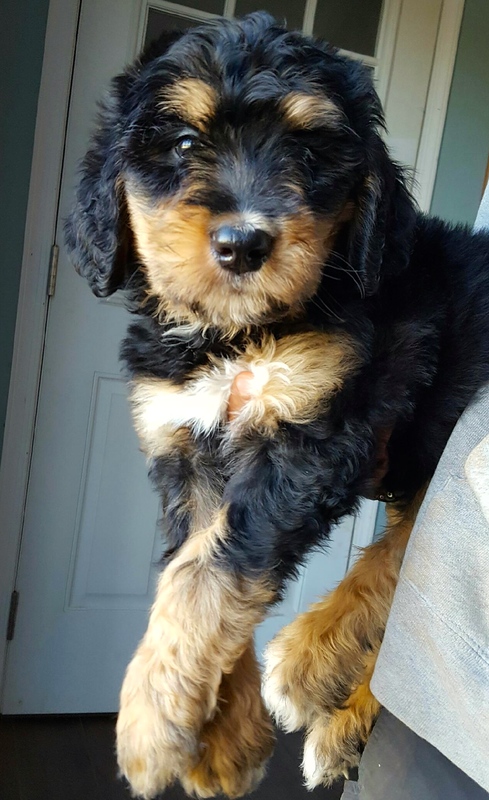 If you are wanting a puppy to be used a future diabetic alert dog, let us know as we would need to start the ketone scent exposure while the puppy is a newborn. We do allow clients to provide us their own ketone swatches for the scent exposure. Again, we are not providing a trained diabetic alert dog, but we can provide a puppy that has had ketone exposure. NOTE: For customers planning to place their puppies in therapy and service training please make sure to find out the timing from your Level 2 training program, before placing a deposit. 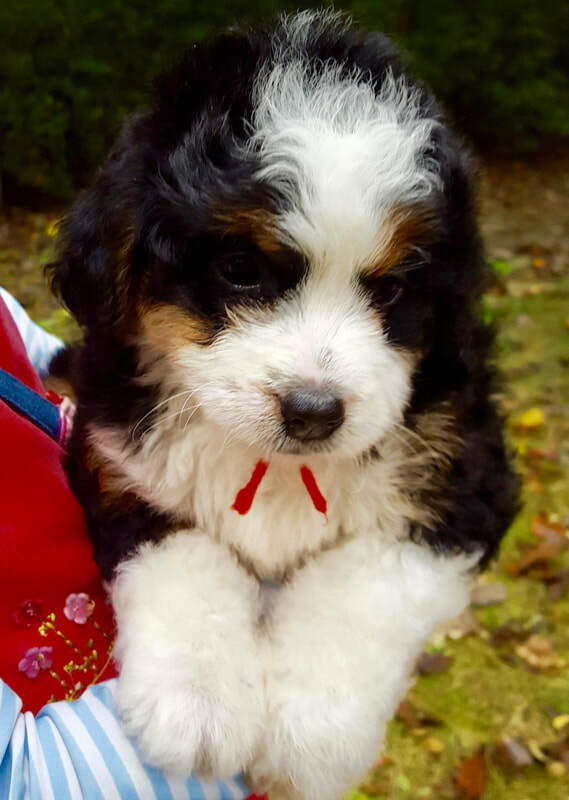 We want to make sure that we will be able to provide you a puppy, that will fit with the timing of your training. I know it is sometimes hard to coordinate those two things together, but we need to be communicating about this from day 1, so you don't miss your spot in line for training. 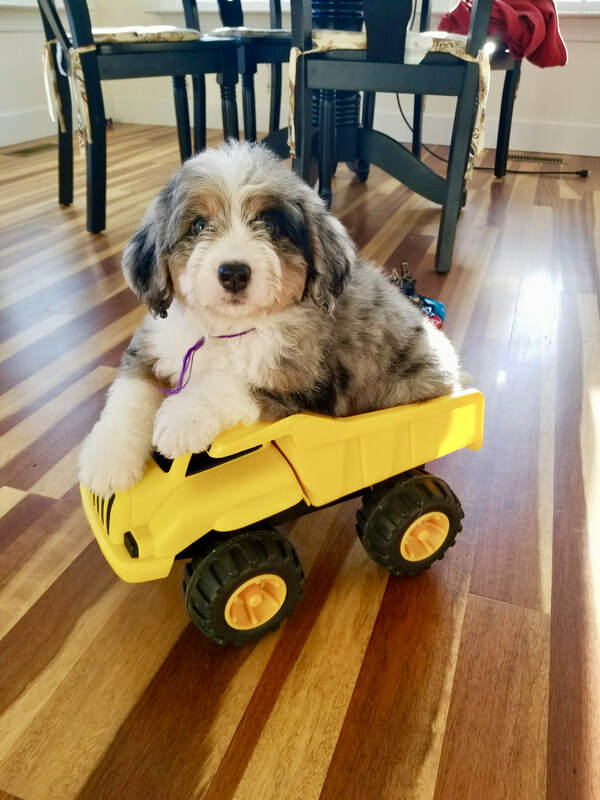 Please notate on your deposit if this is a request for a puppy to be used for future therapy or service work & if you will need puppy selection assistance. NOTE: If you plan on flying with your puppy, it is vital that you inform us before the puppy is 6 weeks old so the puppy can be taken in and get the required flight paperwork from the vet.